Q: What do you think/feel when you hear 10 years of ownership. A: Proud. By purchasing Carow Packaging during a difficult economic time, I was able to take the worry off my parents’ shoulders. It was a way for me to pay them back for all they did for me growing up. 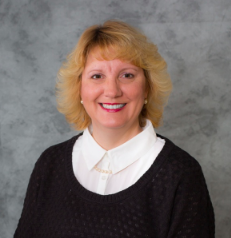 Buying the company, as opposed to it being gifted, also allowed me to recognize my mom and dad’s contribution, while taking over the reins at the same time. I am also very proud of how much we have learned and grown as a company. Some of our team has been with me from the beginning. They are amazing individuals and together we have created a culture that makes Carow Packaging a great place to work. 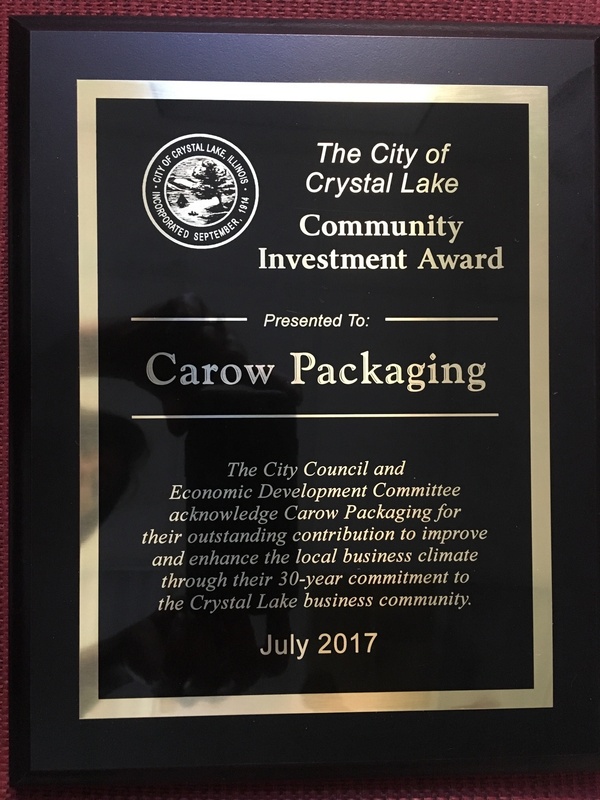 Q: And what about Carow Packaging being in business for 30 years? How was it to be recognized by the City of Crystal Lake? A: Of course, we were honored. 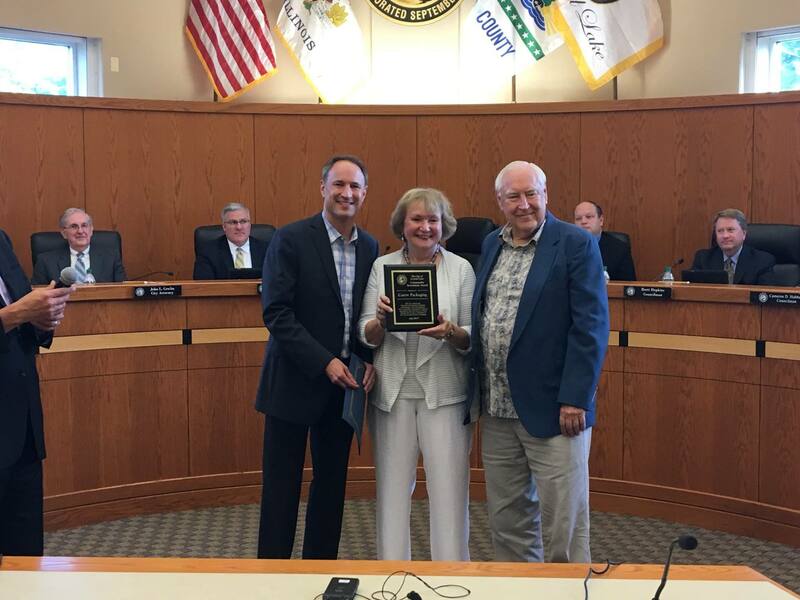 It is always nice to be recognized, and Crystal Lake has been such a great place to live, learn and work. We truly appreciate the stability that Crystal Lake has afforded our business and we have enjoyed watching the community grow. Most or our employees are from Crystal Lake and the surrounding areas and we believe in buying local for many of our business needs. In fact, we just used the beautiful Three Oaks Recreation Area during our summer sales meeting. When Carow Packaging turned 30, it was also a time when I paused to reflect on the larger arc: my parents starting the business, to the two of them working together, to the three of us working together, to hiring a team, to me leading the company, to me purchasing the company and to us growing to where we are today. Amazing what can happen in 30 years. Q: You have a degree in music from the University of Michigan and you had a successful career as a drummer. What made you decide to join the family business then take ownership of Carow Packaging? A: I always had an analytical and entrepreneurial spirit, but my creative side and love of playing drums drew me to a career in music. After 5 years of my father asking me to work at Carow, I realized I wanted to unbundle my creative musical side from my career. I still play and perform once a week, but working for and owning Carow Packaging, has enabled me to keep my passion for music separate from my love of business. Q: What has been your favorite moment over the last 10 years? A: When I walked into the CVS and Walgreens near my home and saw 4 different SKUs on the shelves that were using Carow products, I was in awe. I always believed if our customers succeeded so would we, but that moment confirmed it. I have also greatly enjoyed creating a culture where each person is celebrated for the unique skills they bring to the team. It is very fulfilling to hear different viewpoints shared openly knowing each is valued as the group works to solve a problem or create a new solution. Q: Carow Packaging is three times bigger than when you took ownership. What is the secret to Carow’s success? A: Taking care of and responding to our customers is the reason for our success and is also the thing we work to continually improve. We have challenged ourselves to learn and grow with the packaging industry in the consumer markets where we specialize. This has allowed us to respond to customer needs quickly, and in some cases, even anticipate them. Some of our very first customers are still our customers 31 years later. That is really important to us. Q: How is Carow different from other companies in the small packaging components industry? A: What makes Carow different is our focus, knowledge, and responsiveness. We are a family owned business with 14 employees. We don’t offer everything to everyone, but we are good at what we do offer—dispensing caps, pumps and glass bottles for products like essential oils, lotions, tinctures and syrup. Our years of focus have made us product and market specialists and we apply that knowledge to finding solutions for our customers. Our size, allows us to move a little quicker than some, thus we have been able to innovate and invest in packaging solutions to accommodate our customers. I can guarantee that there is no one in the United States that has more technical knowledge about essential oil caps and inserts than our product development team. Q: What can we expect from Carow Packaging in the future? A: Carow will continue to focus on its customers and their markets. We will keep Investing in new products and developing tooling to improve existing products that will allow us to be even faster to market and more responsive to our customers. Q: What makes you want to go to work at Carow every day? A: I truly enjoy the challenge. I have a personal drive that sees work to do and I just wants to go do it. A: When not at the office, I am usually enjoying family time with my wife, 8-year-old son, 7-year-old daughter and 1-year old puppy. As I already mentioned, I love music and in addition to drums I have joined the School of Rock to learn piano. I am currently a brown belt in Brazilian Jiu-Jitsu, a form of Japanese martial arts, and spar three times a week with the goal of achieving my black belt. I also enjoy making wine with a group of friends and we will be bottling our 2017 vintage in October. Q: What is one thing your father taught you that you have shared or will share with your children? My dad believed, and I do too, when two or more people become a factor to each other, that’s when great things happen, and success is achieved.